Friends, it's time for a hiatus. The blog is going to take a break for a while. I'll be closing the comments on Wednesday. In the meantime, posting continues as normal at the Jewel Vault and you can catch me (sporadically, at least) on Twitter. Readers’ Favorite Outfits of 2018, Evening: Results, Part 2! Zac Posen's still dishing out little peeks at this dress on his Instagram, that's how much detail there is to absorb in this creation. Eugenie had a great year and I hope we see more royal looks from this designer in the future. 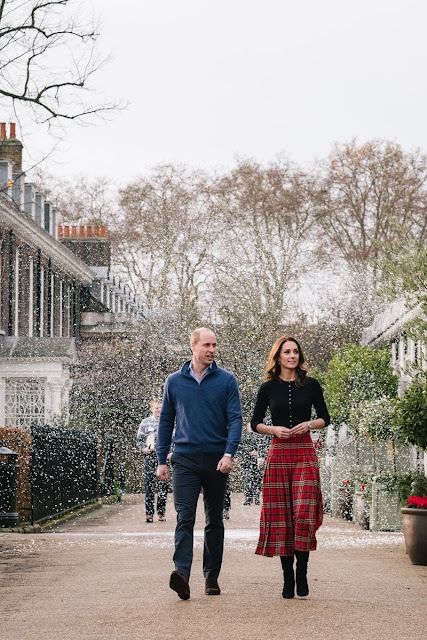 Kate's sparkly and floaty Jenny Packhams are all starting to run together for me, if I'm being honest. Not for many of you, though! Her last tiara offering for the year won her a spot in your top 5. Mary got all three of her entries in this category into the top 10! I do believe that's a record. She captured #8, #6, and #3 - a reminder of the greatness she brings to the New Year's Gala. It was a good year for royal Armani Privé, no? I couldn't agree with this pick more and landing both of her possible entries in the top 10 is a great result for Mathilde. Máxima and her main man Jan didn't just take the top spot, they absolutely ran away with it. Maybe it was the dress, maybe it was THE JEWELS, maybe it was the fact that it all went down at one of the year's most anticipated royal events - whatever the combination, this one wasn't even close. Máxima is by far your favorite evening look of 2018. Readers’ Favorite Outfits of 2018, Evening: Results, Part 1! 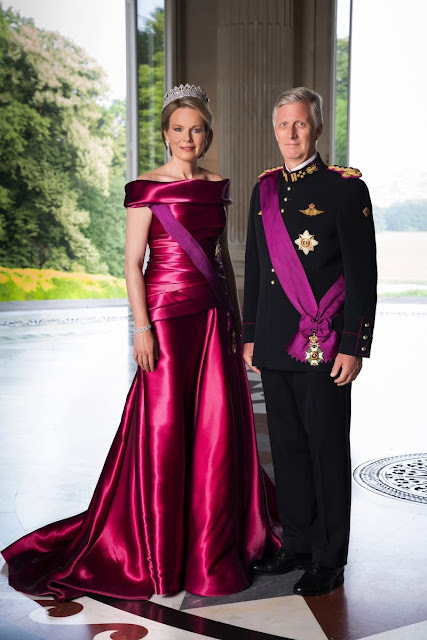 This is an old dress (first worn in 2011) given new life - or perhaps just new affection - in a series of stately portraits released by the Belgian royal family in 2018. Nothing says queen quite like a big ol' gown and a big ol' tiara. Wedding gowns themselves got their own separate vote, but wedding reception dresses were fair game here and the simple chicness of a white halterneck earned Meghan a spot among your faves. 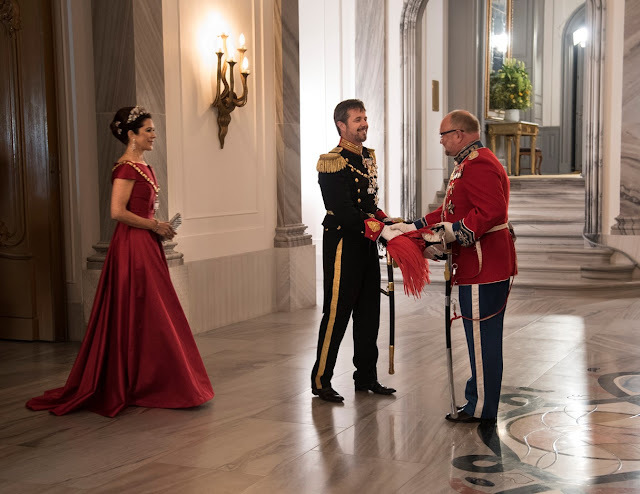 Frederik's big birthday bash was one of 2018's royal highlights, and the couture level of Mary's banquet dress lived up to the occasion and more. I'd love to see this one make a New Year's Gala appearance some day. Red dresses ruled the countdown of your 2017 favorites, a tradition Victoria is happy to carry on for 2018. Had we done this voting game back when the "Bambi" dress (top and skirt, technically) debuted in 2014 - or perhaps even when it got slightly remixed for the New Year's Gala in 2016 - I suspect it would have swept the field. It's still got the magic to land at #6, even in repeat mode. 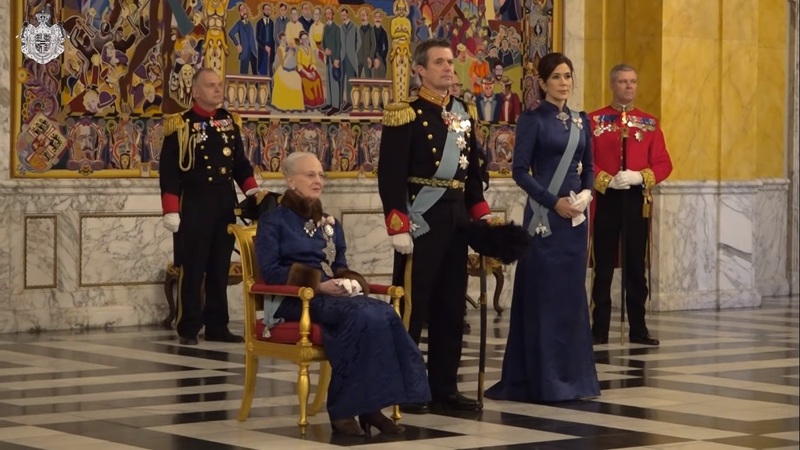 The year's first fancy events rolled on last week in Denmark and over the weekend in Spain. These all involve what I call a modern sort of court dress for the royal women: formal outfits with long skirts for day events. It's something that used to be more common in the royal world, but is now limited to a few events in a few countries. In Denmark, Queen Margrethe and the crown princely couple hold two days of New Year's Court receptions. They greet specific groups at each event. 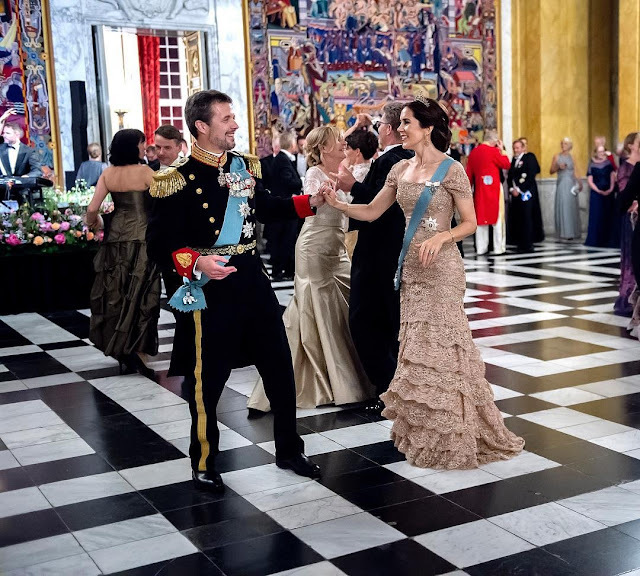 Crown Princess Mary is fond of repeats for these events and many of those repeats have been redone over the years. This year featured a pair of remixed repeats. On the second day, Mary wore the dress she wore to attend the evening New Year banquet back in 2006, which was her first time attending. The Henrik Hviid dress turned up again in 2012 with its long train chopped off to serve as an option for the day events. Not my favorite, but she did give us some of the Danish Ruby Parure we were missing at this year's gala, with the brooch at her neck and the stud earrings. 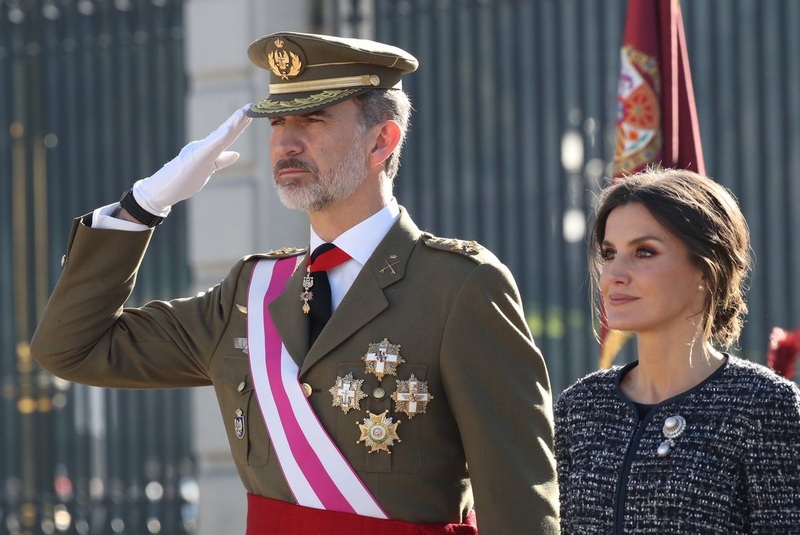 In Spain, the King and Queen attended Pascua Militar, a military ceremony and their first formal event of the new year. 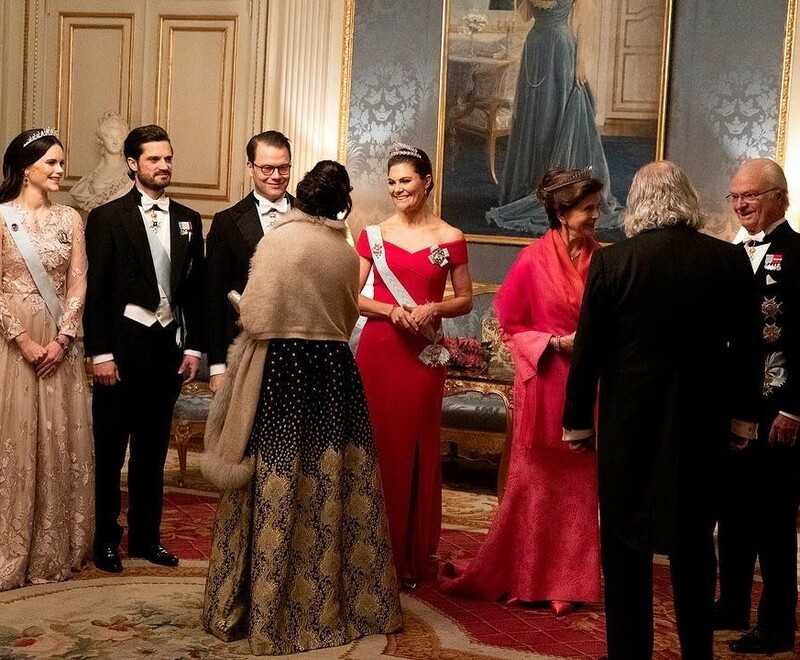 Even I - with my well-documented love of a winter velvet outfit - must admit that this Felipe Varela version is a bit of a snooze. Okay, it's a total snooze, unless you choose to look at it as nothing but a backdrop for some brooch action. It's interesting that when she adds a brooch - a jewel some might consider old fashioned today - she goes with outfits that feel like classic royal standards. 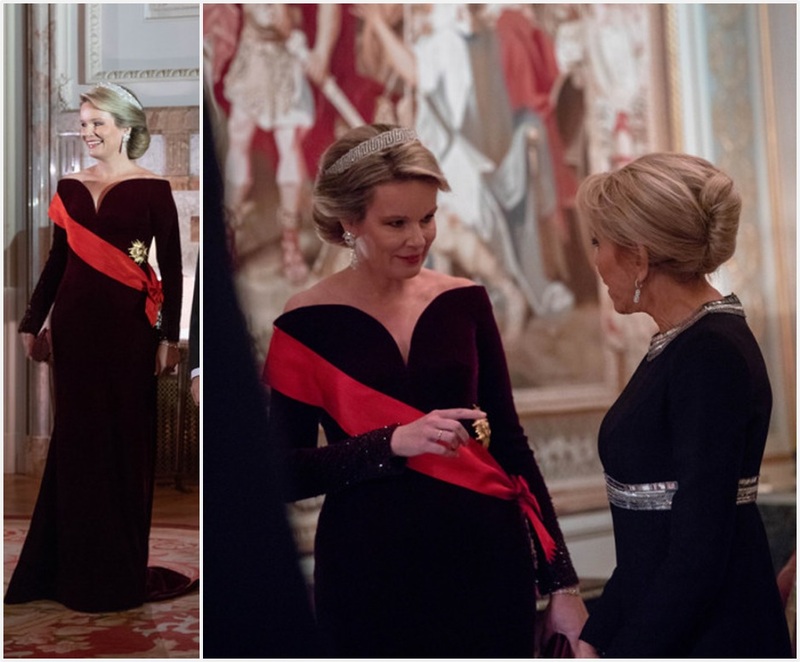 That National Day outfit I linked above gave me strong flashbacks to a young Queen Elizabeth II; now we've got a brooch on a bouclé jacket, which is about as classic as it comes. I'd be interested to see her to put more of a modern Letizia spin on it, if ya know what I mean? Readers’ Favorite Outfits of 2018, Day/Cocktail: Results, Part 2! Máxima’s worn this dress in a few ways. This year’s cocktail-style appearance with a big ol’ brooch and some good hair thrown in landed the #5 spot on your list. A little bit of tartan, some snow machine action, and a well fit cardigan grabbed Kate a spot on your countdown. Chocolate velvet accents and a bit of couture made for one of the chicest winter hat outfits I’ve seen, and secured a princely spot on your countdown for Beatrice. The comments were full of quibbles but none of that could stop Meghan’s fairy tale moment from swooping in as your second favorite of 2018. Whether you loved it for the swish or the fabric or the accessories or any other reason you please, the results are clear: Kate takes home the grand prize in your Day/Cocktail Division! Did your picks make the cut?